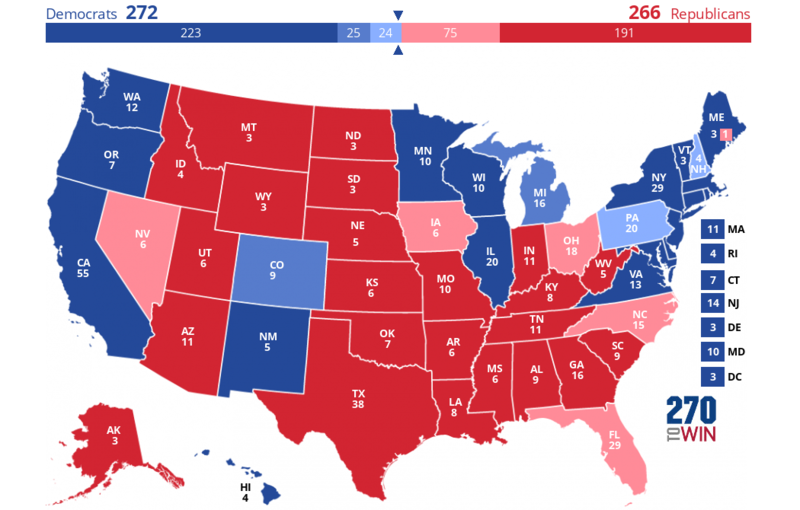 So looking at the last polls as of today this would be the final election map based strictly on polling. Things to consider is that several of the states have shift over the past week and are close in places where absentee balloting and early voting is allowed. If we just look at today though, we are back to Clinton winning by a narrow margin. As it is, I think five of the Trump states and two of the Clinton states could go either way depending on turn out over the past week. Making a narrow enough margin that if I were a candidate, I would wait to cocede until later than normal.